In this thrilling new crime novel that ingeniously bridges Laurie R. King’s Edgar and Creasey Awards—winning Kate Martinelli series and her bestselling series starring Mary Russell, San Francisco homicide detective Kate Martinelli crosses paths with Sherlock Holmes–in a spellbinding dual mystery that could come only from the “intelligent, witty, and complex” mind of New York Times bestselling author Laurie R. King…. Philip Gilbert was a true Holmes fanatic, from his antiquated décor to his vintage wardrobe. And no mere fan of fiction’s great detective, but a leading expert with a collection of priceless memorabilia–a collection some would kill for. 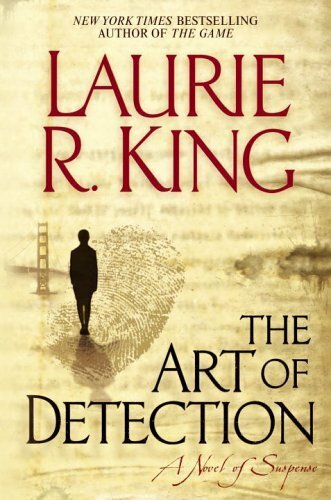 Now, with the help of her partner, Al Hawkin, Kate must follow the convoluted trail of a killer–one who may have trained at the feet of the greatest mind of all times.